The Roche Tower, headquarters of Hoffmann-La Roche in Basel (2015). F. Hoffmann-La Roche AG is a Swiss multinational health-care company that operates worldwide under two divisions: Pharmaceuticals and Diagnostics. 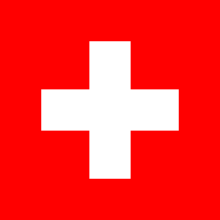 Its holding company, Roche Holding AG, has bearer shares listed on the SIX Swiss Exchange. The company headquarters are located in Basel and the company has many pharmaceutical and diagnostic sites around the world – including: Clarecastle in Ireland; Welwyn Garden City; Burgess Hill in the UK and Tucson, Arizona; Pleasanton, California; Vacaville, California; Oceanside, California; Branchburg, New Jersey; Indianapolis, Indiana; Florence, South Carolina and Ponce, Puerto Rico in the US; Mannheim and Penzberg in Germany; Mississauga and Laval in Canada; Shanghai in China; Mumbai & Hyderabad in India; São Paulo and Rio de Janeiro, Brazil; Segrate, Milan in Italy; Johannesburg in South Africa; Karachi, Islamabad and Lahore in Pakistan. There are 26 manufacturing sites worldwide. The company controls the American biotechnology company Genentech, which is a wholly owned affiliate, and the Japanese biotechnology company Chugai Pharmaceuticals, as well as the Tucson, Arizona-based Ventana. Roche's revenues during fiscal year 2014 were 47.46 billion Swiss francs, or approximately US$48 billion. Roche is the third-largest pharma company worldwide. Descendants of the founding Hoffmann and Oeri families own slightly over half of the bearer shares with voting rights (a pool of family shareholders 45%, and Maja Oeri a further 5% apart), with Swiss pharma firm Novartis owning a further third of its shares. Roche is one of the few companies increasing their dividend every year, for 2013 as the 27th consecutive year. F. Hoffmann-La Roche is a full member of the European Federation of Pharmaceutical Industries and Associations (EFPIA). Also in 2005, Roche acquired the Swiss company GlycArt Biotechnology in order to acquire technology to afucosylate antibodies; one of its products in development was obinutuzumab, which gained FDA approval in November 2013 for the treatment of chronic lymphocytic leukemia. On 7 April 2014, Roche announced its intention to acquire IQuum for up to $450 million, as well as the rights to an experimental drug (ORY-1001) from Spanish company Oryzon Genomics for $21 million and up to $500 million in milestone payments. On 2 June, Roche announced its intention to acquire Genia Technologies Inc. for up to $350 million. In August 2014, the company agreed to purchase Californian-based pharmaceutical firm InterMune for $8.3 billion, at $74 a share this represents a 38% premium over the final share closing price. In December 2014, the company acquired next-generation sequencing processing company Bina Technologies for an undisclosed sum. On 16 January 2015, the company announced that they would acquire Trophos for €470 million ($543 million) in order to increase the companies neuromuscular disease presence. The deal will centre on the Phase II and III spinal muscular atrophy drug olesoxime (TRO19622). In August, the company announced its intention to acquire GeneWEAVE for up to $425 million in order to strengthen its microbial diagnostics business. Days later the company acquired Kapa Biosystems focussing on next generation sequencing and polymerase chain reaction applications. In October 2015, the company acquired Adheron Therapeutics for $105 million (plus up to $475 million in milestone payments). In 1999 the firm pleaded guilty to participation in a worldwide conspiracy to raise and fix prices for vitamins sold in the USA and globally. Hoffmann-La Roche paid $500 million in criminal fines to the United States. In addition to internal research and development activities F. Hoffmann–La Roche is also involved in publicly funded collaborative research projects, with other industrial and academic partners. One example in the area of non-clinical safety assessment is the InnoMed PredTox. The company is expanding its activities in joint research projects within the framework of the Innovative Medicines Initiative of EFPIA and the European Commission. 1 2 "Executive Committee". Roche.com. F. Hoffmann-La Roche. Archived from the original on 14 September 2016. Retrieved 26 November 2016. 1 2 3 4 5 6 "Financial Report 2014" (PDF). Roche. Retrieved 28 January 2015. ↑ "Roche - Roche Annual General Meeting 2014". roche.com. ↑ "The Pharmaceutical Industry in Figures – 2008 Edition". European Federation of Pharmaceutical Industries and Associations (EFPIA). p. 49. Retrieved 2008-08-25. ↑ "Roche Biomedical Laboratories, Inc". FundingUniverse.com. ↑ "HIV Surveillance --- United States, 1981—2008". Retrieved 8 November 2013. ↑ "Roche, Gilead End Tamiflu Feud". Red Herring. 16 November 2005. ↑ Kher, Unmesh (2005-10-19). "Why Roche Released Tamiflu". Time. Time Inc. Retrieved 2008-05-22. ↑ "Roche - Roche acquires Swiss based GlycArt Biotechnology to strengthen expertise in therapeutic antibody research". roche.com. Retrieved 2015-04-29. ↑ "Roche buys Ventana". Retrieved 2 June 2014. ↑ Pollack, Andrew (12 March 2009). "Roche buys Memory Pharmaceuticals". The New York Times. Retrieved 2 June 2014. ↑ Pollack, Andrew (12 March 2009). "Roche buys Genentech". The New York Times. Retrieved 2 June 2014. ↑ Pollack, Andrew (5 February 1990). "Genentech-Roche Deal May Spur Similar Ties". The New York Times. Retrieved 2009-04-11. ↑ Bawden, Tom (13 March 2009). "Roche swallows Genentech in third large drugs deal". The Times. London. Archived from the original on 2011-06-12. Retrieved 2009-04-11. ↑ Jucca, Lisa; Cage, Sam (26 March 2009). "Roche completes Genentech buy". Reuters. Retrieved 2009-04-11. ↑ "Roche buys Medingo". Retrieved 2 June 2014. ↑ "Roche buysBioImagene". Retrieved 2 June 2014. ↑ "2011 Facility of the Year Category winners!". Retrieved 2012-06-28. ↑ "Roche buys PVT". Retrieved 2 June 2014. ↑ "Roche buys mtm labs". Retrieved 2 June 2014. ↑ "Roche buys Anadys". Retrieved 2 June 2014. ↑ "Roche announces closure of Nutley, NJ site". Retrieved 28 June 2012. ↑ "Roche buys Constitution Medical". Retrieved 2 June 2014. ↑ "Roche buys IQuum". Retrieved 2 June 2014. ↑ Copley, Caroline (7 April 2014). "Roche buys experimental drug rights from Oryson". Reuters. Retrieved 2 June 2014. ↑ Mulier, Thomas (2 June 2014). "Roche buys Genia". Bloomberg. Retrieved 2 June 2014. ↑ Michelle Cortez (24 August 2014). "Roche Holding Agrees to Buy InterMune for $8.3 Billion". Bloomberg.com. ↑ "Roche pays 37% premium on shares for InterMune in US $8.3bn deal". San Francisco News.Net. 24 August 2014. Retrieved 24 August 2014. ↑ "Roche To Buy Biotech Firm InterMune For $8.3B". Investing.com. ↑ "Roche Acquires Big Data Platform Provider". GEN.
↑ "Roche to Buy Trophos for Up-to-$543M". GEN.
↑ "Roche to Acquire GeneWEAVE for Up-to $425M". GEN.
↑ "Roche Acquires Genomic Tools Provider Kapa Biosystems". GEN.
↑ "Genentech: Press Releases - Genentech Acquires Full Ownership of Canadian Operation". gene.com. ↑ "Roche stops selling acne drug Accutane". Reuters. 2009-06-26. Retrieved 2016-02-23. 1 2 Mathiason, Nick (25 November 2001). "Blowing the final whistle". The Observer. Retrieved 30 September 2014. ↑ Corporate Crime Reporter. Corporate Crime Reporter. Retrieved on 2013-11-24. ↑ "Cartel price announcements: The vitamins industry" (PDF). International Journal of Industrial Organization. 26. 2008. Wikimedia Commons has media related to Hoffmann-La Roche.